I looked around the bathroom. It was pristine, I scrubbed the house clean from the attic to the basement. Tomorrow I'll do it all over again. Everything was sparkling clean, the sunlight spilling into rooms facing south, making them warm and bright. I wished I could say that about my soul. Keep it together, Emily. Perhaps you could go and plant more lilies in the front yard. The first several months of separation were the hardest. I cried a lot. I swore. I begged. Eventually I bent to the will of my husband. I followed the rules, because I had no choice. Lie and wait like you did before, Emily. ​The problem is that there won't be a next time. He made sure of that. ​Doing the chores helped me not to wallow in self-pity. Keeping my mind occupied was the key to survive from month to month without going insane. I checked the garden shed. It turned out I would have to order new young lily plants. I went back into the house. I turned on the computer and made a quick order in the Green Thumb online shop. I put some daisies in the basket too. Hopefully they will deliver the plants by tomorrow and I will have plenty of work to do for the next two days at least. Before I closed the browser window, I noticed a banner at the bottom. 'Need a friend? 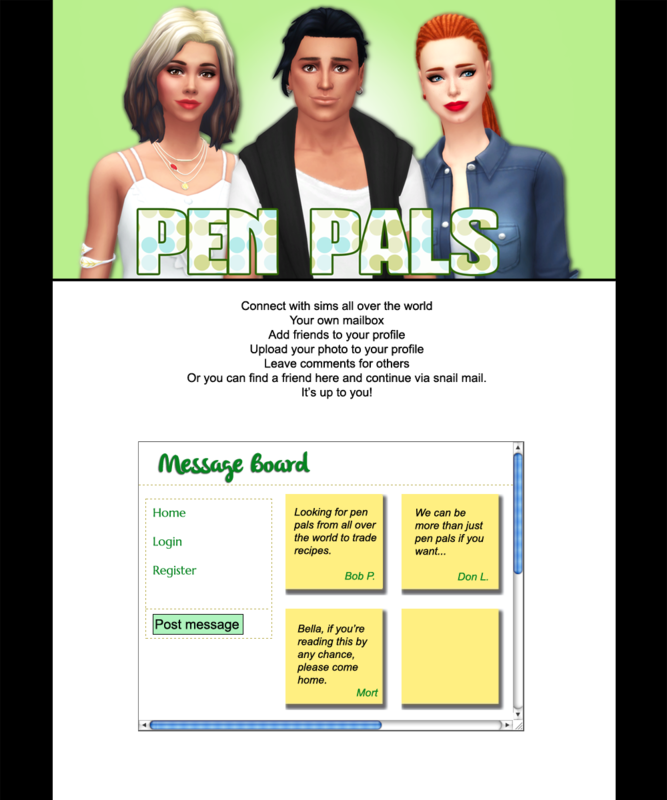 Try Pen Pals!' it said. People still did this? They still looked for friends to write letters to? They confided in complete strangers? Maybe it was not such a bad idea. 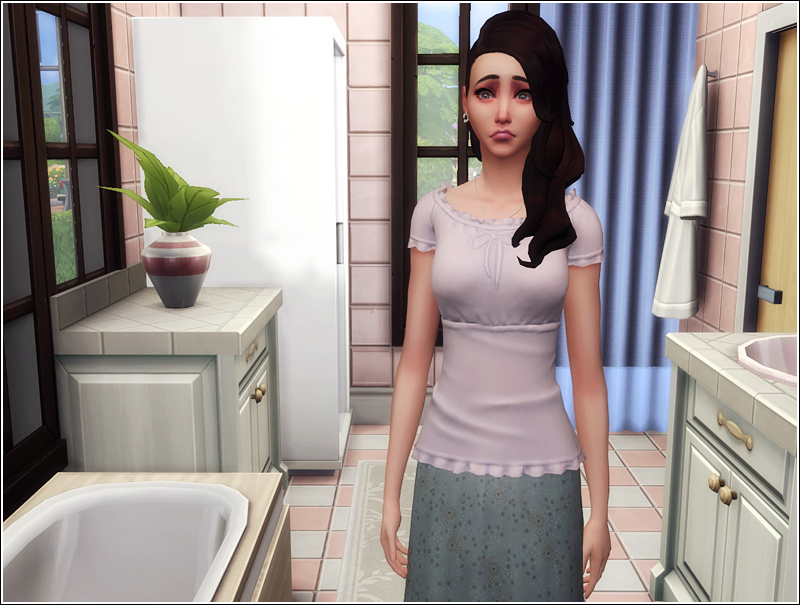 I didn't have anyone trustworthy to talk to; I couldn't make friends here in Newcrest. A stranger from far away might be the safest friend for me to have. Should I leave a message there too? Will somebody actually reply? There didn't seem to be much activity going on this site anymore. Maybe it's pointless. Is it worth the risk, Emily? a tiny voice in the back of my head asked. He wouldn't like you to spend your time like this. Think of the consequences. I covered my face with my hands. I hadn't realized how bad I needed a friend until I saw that page. It enkinled a hope within me. Hope could be a very poisonous thing in my situation. It could save my sanity or it could lead to rash decisions if I clinged to it too much. Rash decisions like leaving a hastily typed message on that website. My name is Emily. I hope someone will read this message. I really need a friend. Maybe you're desperate and feeling alone just like me. Please, reply, or I'll lose my mind soon. For the next couple of days I feared that my husband would somehow learn about that message and will punish me for it. However, nothing happened and soon I forgot about it completely, coming to a conclusion that the website was dead. ​The bigger was my surprise when a letter arrived two weeks later. I opened the envelope eagerly. A picture of a woman fell out of it. I picked it and examined her face. She looked very smart with those big glasses. I read the letter and looked at the picture again. I fell in love with the woman's face, for she was the friend I was looking for. I gently touched her face with my fingers. "Nice to meet you, Shai," I whispered. 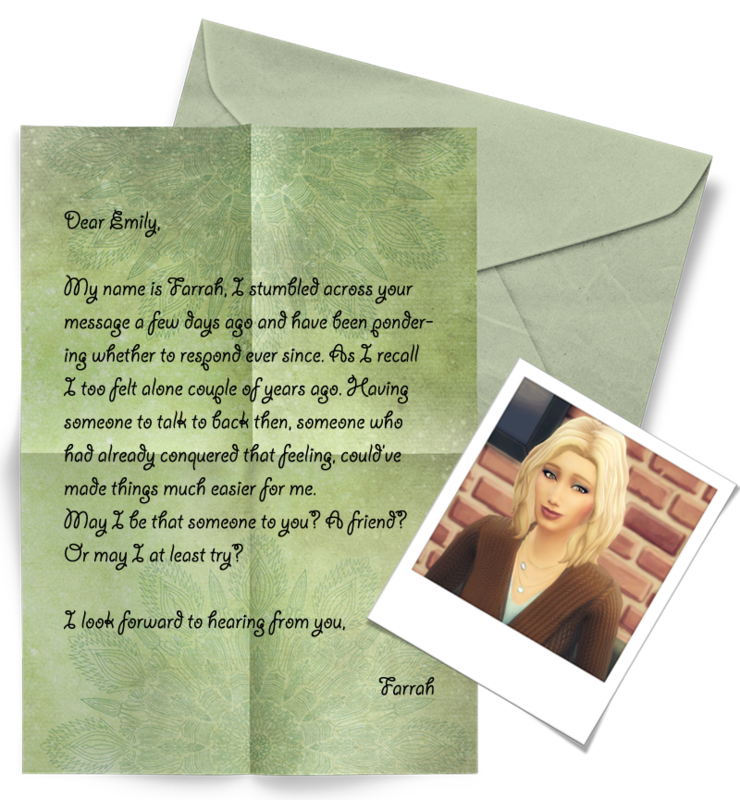 Blinking away tears I pressed the letter and picture to my chest. I wasn't alone anymore. My husband was at work so I could write a reply right away. I was so happy to have a new secret friend. I couldn't have possibly known that I'd be having two more very soon. 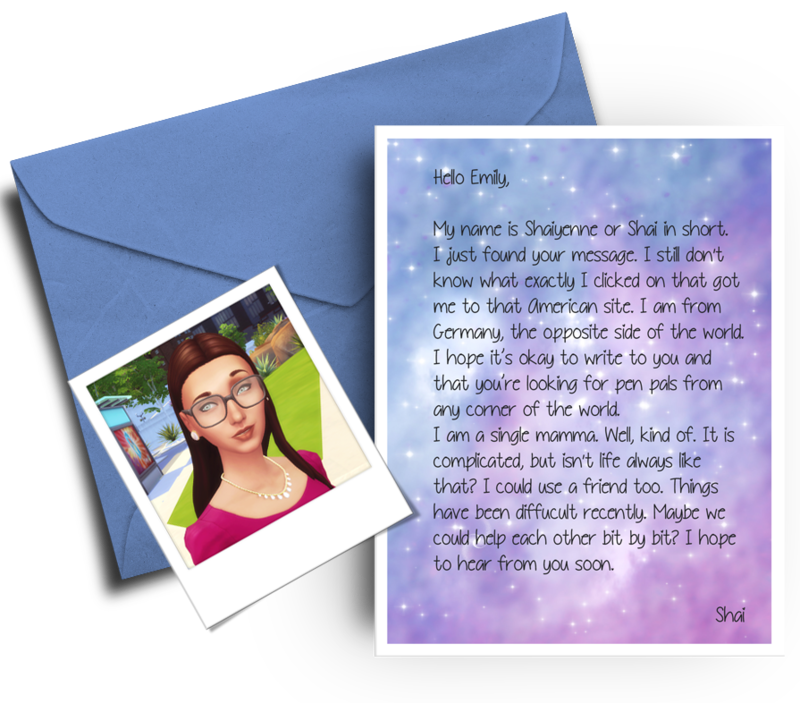 ​Author's note: Letters to Emily are my collaboration with other three amazing simlit authors, TheGeekGamez, Marialein and Sterretjeee. 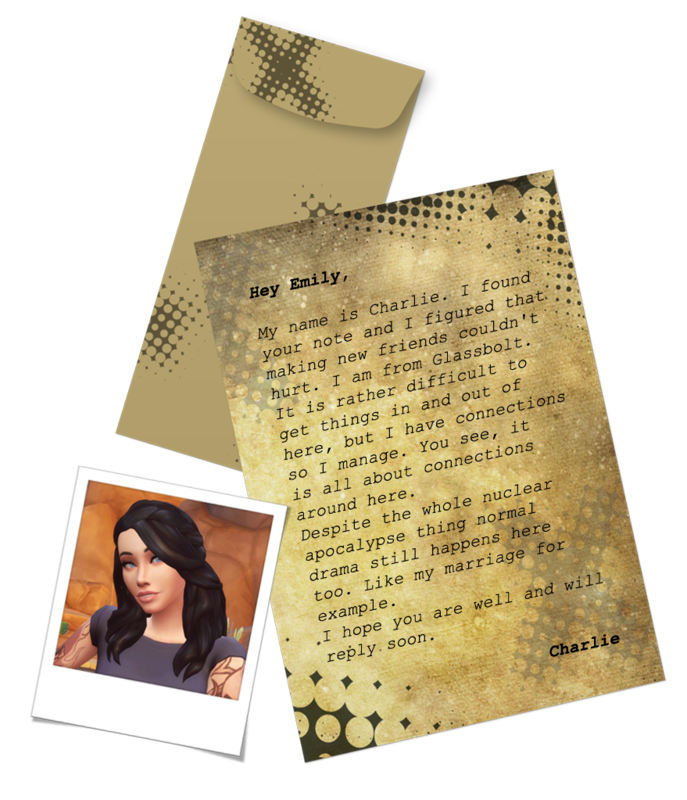 You might want to check their stories too (Charlie is from We Could Change It All - An Apocalypse Challenge, Shai is from Angel In The Darkness - An Ambrosia Challenge and Farrah is from the Grace Legacy - A Build Newcrest Challenge). But don't worry, reading them is not essential to enjoy Emily's story. All you need to know you will learn from their letters. 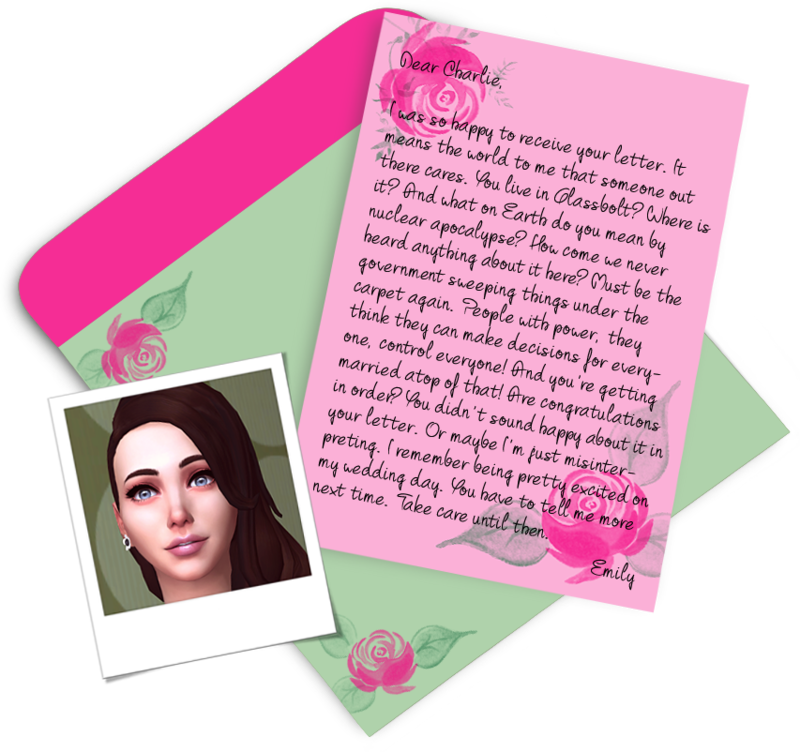 Letters to Emily were inspired by CathyTea's Pen Pal Project. I wanted to join in at first, but then I decided to do it my way and I asked other authors with suitable characters if they would consider doing this with me. 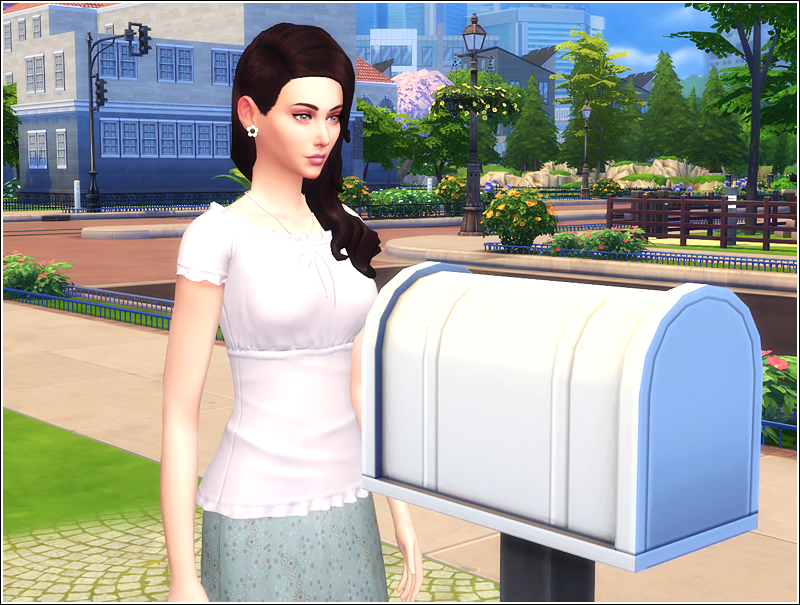 Big thanks to my friend Leeuska for the help with those letters. They turned out much better than I had imagined!